Courtesy of Sandra L Galvis-Pelton, Realty Advantage. Very rare Centex JADE model. The largest most spacious three bedroom + Library with 3 1/2 bath condominium in King farm. One level living at its finest. Extremely roomy 2850 SF. of living space. A three-sided, three balcony home with panoramic views. Open, airy, light filled and plenty of room are a few words that describe this comfortable and easy living home. A super convenient location within King Farm. The oversized owner’s suite has an extra large walk in closet, its own balcony, a sumptuous super bath, separate tub & shower and make-up chair space double vanity. The second and third bedrooms have their own full bath as well. dramatic tray ceilings & trim in the living and dining rooms – wet bar -very large kitchen. You will also enjoy the private access one car garage with storage space overhead. There is an assigned 2nd space steps from rear door. This is a controlled access and elevator serviced building with four stories and 11 homes. Beautiful lobby and receiving area on all floors. Offered at market / appraised value to sell fast to the fortunate buyer. Award-winning King Farm community is all about lifestyle and convenience. You are literally across the street to the Village center with shopping, banks, restaurants and King Farm’s ample amenities such as; parks, pool, tennis court, dog park, trails and more all at your door step. You can walk to the Shady Grove METRO in minutes or take the free community shuttle Out front. Easy on and off to 355 and 270. Lister related to seller. 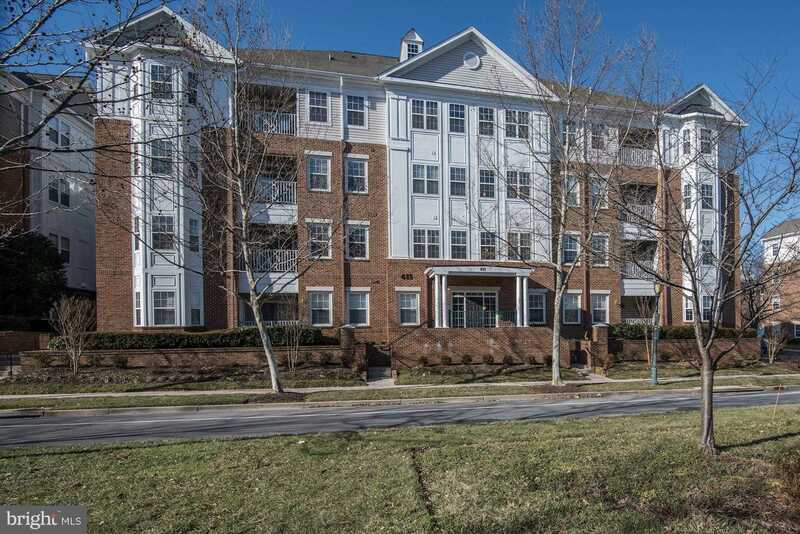 Please, send me more information on this property: MLS# MDMC495662 – $749,900 – 411 King Farm Boulevard Unit 202, Rockville, MD 20850. I would like to schedule a showing appointment for this property: MLS# MDMC495662 – $749,900 – 411 King Farm Boulevard Unit 202, Rockville, MD 20850.